a commercial client, we have the solution for you. At Nuban Mowers Centre, we service all types of gardening equipment including push mowers, ride-on mowers, hedge trimmers, brushcutters and chainsaws. Our workshop has the facilities to service for both domestic customers and Commercial contractors, with petrol and diesel powered engines. Our service area is broad from Currumbin & Currumbin Valley north to Tallai and down south of the border to Ballina. With our skilled mechanics working from our modern service centre here in Currumbin on the Gold Coast, we’ll have you back in action in no time. 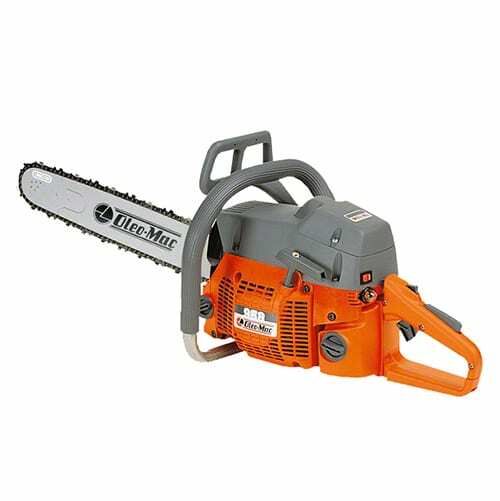 There is an Oleo-Mac Chainsaw to suit every type of job.